District cooling has become the 'go green' saviour of the decade.It is considered reliable,effective;cient and has less negative environmental impact in air-conditioning. SVCS Process Innovation to attend PV Guangzhou exhibition, which will be held in Guangzhou Pazhou�China Import & Export Fair Complex, from August 26th to 28th, 2014. Intersolar 2014 North America Expo from July 8th to 10th in San Francisco. Lepomis Solar Project generates clean energy for the Town of Wareham Massachusetts. Taralga Wind Farm is located in South Western New South Wales, the most populated region in Australia. 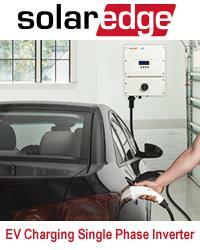 Intersolar 2014 - MidNite Solar Inc. A leading US manufacturer of alternative energy products. MidNite Solar a Innovative Company developing products needed for the Renewable Industry. Specializing in Solar Charge controllers, Combiner Boxes, AC/DC Disconnects,Surge Protection, and Emergency Shut Down for PV arrays. Grupo Clavijo begins supplying trackers for a 40 MW photovoltaic installation in Chile, and opens an office in the capital. MW installation in the Chilean region of Atacama, with Greenwood Biosar Chile Spa (Aktor Group) acting as the main EPC contractor.